RECYCLEPAK makes recycling lamps and ballasts easy! The prepaid recycling program ensures complete compliance while reducing the risk of contamination by storing hazardous materials at your facility. When the container is full, simply ship it out, it’s prepaid! 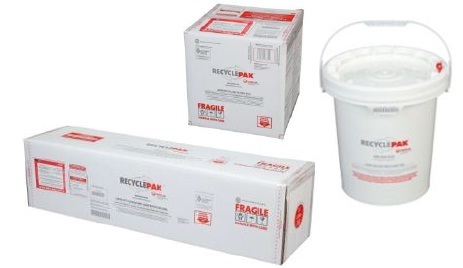 Download Recyclepak PDF below or call 714.835.6211 to order today. * Program designed for use in the continental USA only.